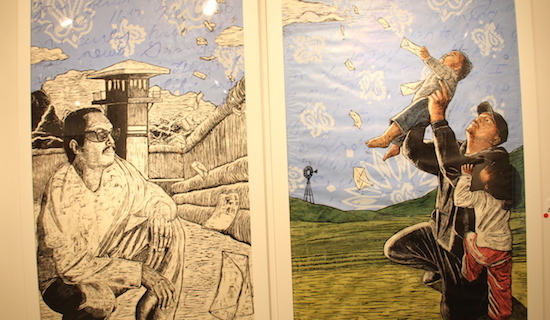 Manifest Justice, the exhibit that ran in Los Angeles this month, features work from some 200 artists focusing on issues impacting communities of color. Prominent themes are mass incarceration and police brutality, with pieces giving artistic representation to civil unrest in cities across America. “We are currently in a moment that is literally on fire. For every moment that we have faced, heroes have emerged, solutions have emerged, and we’ve spoken truth to power.” Artists spoke about their intentions with Voicewaves. This entry was posted on May 28, 2015 by Editor in Print, Voicewaves and tagged Art&Music, Justice.